Welcome to the Fiction & Literature Library Research Guide! Look for these titles in the fiction stacks, arranged alphabetically by author's last name. Collection of short stories about Polish Americans and the blue-collar community in Superior. 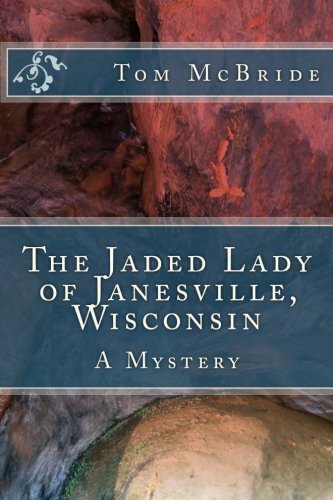 Anna Marie Loy comes to Janesville in the late 1930s to flee from a scandal in Liverpool, England. Anna Marie may leave Liverpool for Janesville, but her demons drive her wherever she is. Willie Lincoln finds himself in a strange purgatory where ghosts mingle, gripe, commiserate, quarrel, and enact bizarre acts of penance. Within this transitional state--called, in the Tibetan tradition, the bardo--a monumental struggle erupts over young Willie's soul. A mysterious force causes teenage girls to have immense physical power--they can cause agonizing pain and even death, and the world drastically resets. The Absolutely True Diary of a Part-Time Indian meets Jane the Virgin in this poignant but often funny story about losing a sister and finding yourself amid the stereotypes of growing up in a Mexican-American home. National Book Award for Fiction In Ward's first novel since her National Book Award-winning Salvage the Bones, she uses the archetypal road novel to present an intimate portrait of a family and a journey through Mississippi's past and present, examining the ugly truths at the heart of the American story. The world as we know it is ending. Evolution has reversed itself, affecting every living creature on earth. Woman after woman gives birth to infants that appear to be primitive species of humans. Subverts teen detective archetypes like Scooby-Doo and delivers an entertaining celebration of horror, love, friendship, and many-tentacled, interdimensional demon spawn. From the bestselling author of Shotgun Lovesongs, a sweeping, panoramic novel about good and evil, family and fidelity, and redemption. Novelist is a reader's advisory tool that provides recommendations, genre lists, book discussion guides, informative articles, and more. Actor, producer, library supporter and avid reader Sarah Jessica Parker, the honorary chair for Book Club Central, shares reading lists and ways to discuss good books with readers. Launched in 2007, Goodreads is the world’s largest site for readers and book recommendations. LibraryThing offers tools for cataloging and tracking your books as well as social networking.